The Aquabats should be granted sainthood! They’re irresistible and irrepressible. They’re The Aquabats, and they return to SLO Brew on Saturday, Dec. 15 (7 p.m.; all ages; $16 presale or $18 at the door) to deliver an evening of their patented nerd-core new wave. If you’ve never seen these masked crusaders live, it’s a hoot. Their set is accompanied by a customized video that visually illustrates their bouncing sounds. Think of them as the punk rock equivalent of a Saturday morning cartoon. SUPERHEROES OF NERD ROCK! : The Aquabats bring their awesome multimedia show to SLO Brew on Dec. 15. With a bit more synth pop and electronica, as well as some hip-hop elements, the album builds on the new wave sound of their previous record, 2005’s Charge! 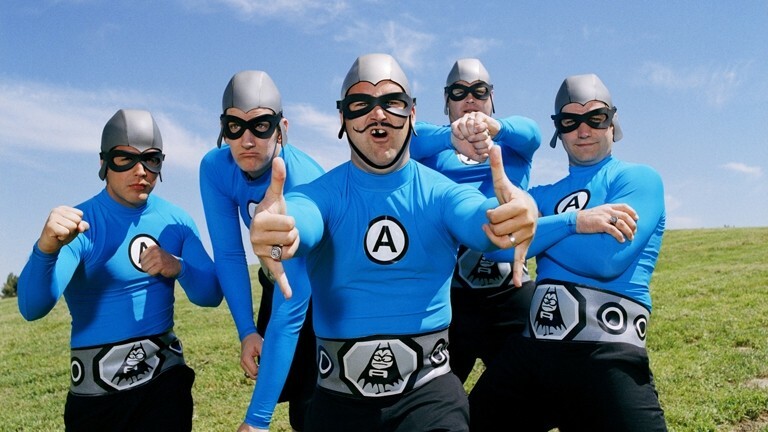 For the uninitiated, The Aquabats formed in Orange County in 1994 and released their debut album, The Return of The Aquabats in 1996. 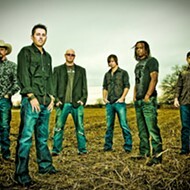 The two remaining original members are singer MC Bat Commander and bassist Crash McLarson. Since 2006, they’ve been joined by keyboardist Jimmy the Robot, drummer Ricky Fitness, and guitarist Eagle “Bones” Falconhawk. Together, they claim to be crime-fighting superheroes from a distant island called Aquabania. The truth is even better. In the mid-’90s, as the original eight members, each from a different band, surveyed the Orange County punk and ska rock scene, they saw chaos—pointless drunkenness, violence, and worse yet, predictability. They decided to poke fun at the scene, so they created matching costumes inspired by Devo, and after initially being shunned, their loopy energy and boundless happiness won over fans, and their sound developed from ska to punk to new wave and beyond. Also on tap at SLO Brew this week is the Internet pop sensation Never Shout Never on Thursday, Dec. 13 (7 p.m.; all ages; $20 presale or $22 at the door). Front man Christopher Drew, a messy-haired 23-year-old, began to gain attention in 2007 at age 16, and since then he’s released six EPs and two albums and has more than 2.5 million Facebook fans, nearly 50 million MySpace profile views, and more than 157 million song plays. His songs are incredibly catchy pop nuggets. Think Justin Bieber but not lame and overproduced. Anarbor and William Beckett will open the show. An evening of dub reggae courtesy of The Expendables hits SLO Brew on Friday, Dec. 14 (7 p.m.; all ages; $20). 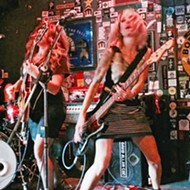 Formed in 1997, the Santa Cruz band became mainstays of the surf, skate, and party crowd. You’ll also hear elements of punk and ’80s-style dueling guitar solos. And for hip-hop fans, the Brew has booked Grouch and Eligh of Living Legends for Sunday, Dec. 16 (8 p.m.; all ages; $20 presale or $22 at the door). They’re touring in support of their most recent release, No More Greener Grasses. Mistah Fab and Prof will open the show. A MILLION MILES AWAY! 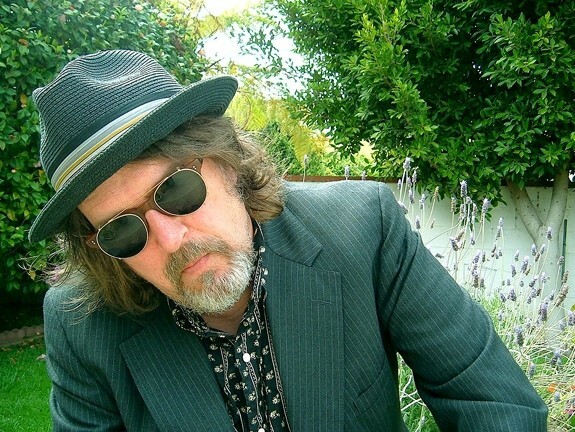 : Singer-songwriter and indie rock legend Peter Case plays the Steynberg Gallery on Dec. 15. Singer-songwriter and indie rock legend Peter Case plays the Steynberg Gallery on Saturday, Dec. 15 at 8 p.m. (all ages; $15; 547-0278). Perhaps best known for his band The Plimsouls and the song “A Million Miles Away,” Case has had a diverse and wide-ranging career. He dropped out of school at 15, left New York, and spent a few years traveling until he landed in San Francisco as a street musician in 1973. His first band, The Nerves, featured Jack Lee and Paul Collins (of The Beat), and yielded the song “Hanging on the Telephone” that was made famous by Blondie. After they disbanded, he moved to L.A. and formed The Plimsouls, whose songs were featured in the early Nicolas Cage film Valley Girl. During his long solo career, which began in 1986, he was first signed to Geffen Records and the song “Old Blue Car” on his self-titled debut was nominated for a Grammy. His second solo album, The Man with the Post-Modern Fragmented Neo-Traditional Guitar, wasn’t a big commercial success, but it was popular with critics. His third solo album, Six Pack of Love, did better and resulted in “Dream About You,” which climbed to No. 16 on the Billboard Charts. His fourth, Sings Like Hell, inspired a bi-annual singer-songwriter showcase held in Santa Barbara. 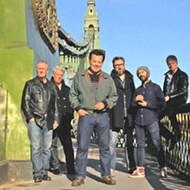 All told, Case has recorded 13 solo albums, most recently 2011’s The Case File, a collection of outtakes. He’s still freaking great in concert. Check him out! Have yourself a merry R&B Christmas! SANTA BABY! : The Kaye Bohler Band has an incredible Christmas show cooked up for you on Dec. 16 at Mother’s Tavern. (8 p.m.; $15 presale or $20 at the door). Bohler has assembled some fantastic arrangements of swing and blues holiday favorites by the likes of Ella Fitzgerald, Charles Brown, Elvis Presley, Brenda Lee, Mahalia Jackson, Lionel Hampton, Freddie King, Tina Turner, and Chuck Berry. She’ll also perform an original Christmas composition, and the show is replete with costume changes and a whole bunch of surprises. This show was sold out in downtown San Jose last year, so get your tickets while they last (brownpapertickets.com; bpt.me/295233; event name: Kaye Bohler’s Christmas Show—SLO). Steve Key’s Songwriters at Play showcases kick off this week on Thursday, Dec. 13 (6:30 p.m.; all ages; pass the hat), at the SLO Down Pub with headliner Sara Petite, who will also headline the Sunday, Dec. 16 (1 p.m.; all ages; pass the hat), showcase at Sculpterra. If you’re a country fan, you’ll want to lasso one of these shows by a singer who’s been honored with many awards at the West Coast Songwriter’s Competition, Great American Songwriter’s Competition, Great Waters Folk Festival Song Contest, and others. BanjerDan, Rob Kimball, and Jesse Johnson will be guest performers on Dec. 13, and Ynana Rose of the Swingin’ Doors will be a guest performer on Dec. 16. The showcase comes to Laetitia Winery on Saturday, Dec. 15, with three performers: Grant Langston, Erin Inglish, Hobbyhorse (1 p.m.; all ages; pass the hat). Langston is an Alabama native raised on a steady diet of Hank Williams, Jr., Jerry Reed, Conway Twitty, Merle Haggard, and gospel quartets. Inglish is a local banjo player, singer-songwriter, artist, and erstwhile engineer who’s taken up music full time and who always beats me at Words with Friends. Hobbyhorse is the Celtic-inspired duo of Annie Aronson and Phil Campbell. For the Tuesday, Dec. 18, show at Kreuzberg, several singer-songwriters will gather to celebrate the music of Randall Lamb (6:30 p.m.; all ages; pass the hat). From Buellton, Lamb’s songs are folk classics in the tradition of Hank Williams and John Prine. 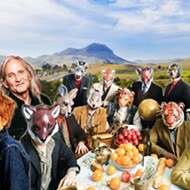 They’ll be performed by Ranchers for Peace, Fur Dixon, Ralph Goff, Britta Lee Shain, Ted Waterhouse, Peter Yelda, Bob & Wendy, Arturo Tello, Steve Key, and many more. On Saturday, Dec. 15, the Cuesta Jazz Ensemble, under the direction of Aaron Wolf, performs in Cuesta’s CPAC, presenting music for large jazz ensemble, with pieces by Duke Ellington, Thad Jones, Bob Curnow, and Bill Cunliffe. The band will also be featuring Ron McCarley, Cuesta’s director of jazz studies, performing as a guest artist. The concert starts at 7:30, and costs $12 for general admission, and $7 for students. Then on Tuesday, Dec. 18, Cuesta Jazz Combo Program presents its end-of-the-year concert in the Experimental Theatre of the CPAC. 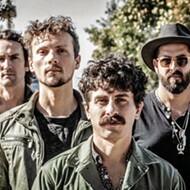 “The concert will feature our top jazz combos, along with a very special set of music from our visiting artists, pianist Adam Benjamin and drummer Jason Harnell, whose exciting duo project, GO SHLOMO!, features their original music and a remarkable performance styling,” according to Aaron Wolf. The concert starts at 7:30, and costs $12 for general admission, and $7 for students. The KW Combo quartet of “soulful funky-fun R&B,” according to the band, will make you get up and dance on Saturday, Dec. 15, from 8 to 10 p.m. at the Haven Wine Bistro. The band features Rick Pittman on drums, Wil Anderson on bass, Ken Burton on keys, and Kate Wells on vocals and flute. Enjoy covers of everyone from Joss Stone to Stevie Wonder. Jody Mulgrew and the Skeleton Crew play Sweet Springs Saloon on Saturday, Dec. 15, with Zeltzer and the Tortoise opening at 9:30 p.m. Mulgrew is a fantastic songwriter whose album Rocket Ship won the 2011 New Times Music Award for Album of the Year. He was also honored this year by the Songwriters Hall of Fame in New York City with an Abe Olman Award for Excellence in Songwriting. “I’ve got quite a few songs in my catalog now and each song has its own personality,” he said. “Talking with a friend, I realized that if I was going to attempt these songs, then I would need a crew to bring them to life for an audience. So I put together a band to cover the basics. There’s a little pop, a little early rock’n’roll, and a little soul in all of it, and we play it that way to get people moving and singing along.” The cover is $5. Nothing says Christmas like a good, old-fashioned holiday sing-along, and nobody does a sing-along better than the 5th Annual Rotary Community Christmas & Holiday Sing-Along at Clark Center on Sunday, Dec. 16, at 4 p.m. According to publicist Curtis Reinhardt, “Attendees will be able to enjoy great regional music and dance groups while also joining their family and friends in singing all their favorite holiday songs including the crowd captivating ‘Twelve Days of Christmas!’ This show is entitled ‘Joy to the World’ and will offer a glimpse into holiday cultures from around the globe.” You’ll see performances by the Village Carolers of Studio Sing, Sing, Sing, the Central Coast Celebration Chorus, Big Rock Balalaikas, the Coastal Christian School Children’s Chorus, the Grande Bell Ringers from the Arroyo Grande United Methodist Church, the Chrome Addicts Steel Drum Duo, and the Claddagh Irish Dancers. Net proceeds from this event are donated annually to the music and arts programs of various South County schools. Tickets cost $12 for adults and $6 for children and students (489-9444 or clarkcenter.org). The Famous Jazz Artist Series’ final concert of 2012 happens Sunday, Dec. 16, at D’Anbino and features the talented youngsters of the recently formed Central Coast Jazz Institute. “This event will be a fundraiser for donors who would like to contribute to the institute and is also open to the public,” said organizer Charlie Shoemake. “The institute is a 501c3 non-profit corporation and all donations are tax deductible.” Charlie and his wife Sandi will also appear at the 4 p.m. and 7:15 p.m. shows. The event is free, but donations to the new organization will be gratefully accepted. Reservations are suggested: 927-0567.